When it comes to cybersecurity, maintaining your customers’ trust is on the line. One hacker can destroy your company’s hard-earned reputation overnight with the right tools. By adopting a proactive, advanced threat protection (ATP) security solution, you can defend your business against sophisticated attacks. ATP security solutions use advanced techniques, such as machine learning, code analysis, and sandboxing, to keep your company’s data safe. High Touch has over 30 years of experience delivering custom technology solutions. Specializing in providing multilayered, preventative cybersecurity solutions, High Touch Technologies constructs custom security solutions for any sized business in any industry. Firewalls. 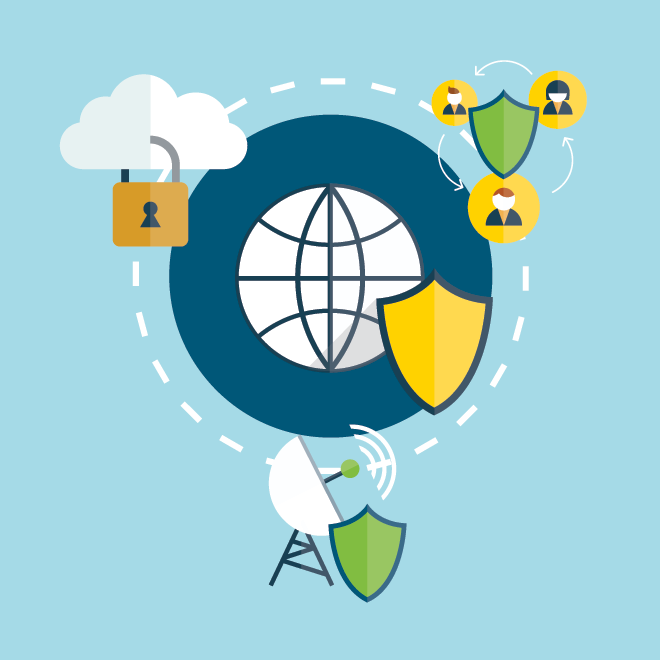 Prevent incoming security threats with automatic remediation, sandboxing, anti-virus, intrusion prevention, content filtering, and advanced threat detection. Endpoint protection. Protect local endpoints, such as workstations and servers, with various types of anti-virus solutions, including definition-based and behavioral-based security. Additional endpoint solutions include drive encryption and device management. Email security. Automatically scan email for spam, unlawful interception, phishing, malicious attachments. Encrypt outbound emails containing sensitive data. User education. Teach users about safe IT practices, such as internet, email, and peripheral device usage; password management; and data control. Image and file backup. Keep on-premise and off-site company data stored, up to date, and protected. “Hacker” is a broad term used to describe someone with expert computer skills. You might think of hackers in the malicious sense, but there are also superhero hackers that use their powers for good. Ethical Hackers, also known as White Hat Hackers, apply advanced tools and methods to measure the strength of your network security. High Touch’s own Jeff Myers has completed his EC-Council Certified Ethical Hacker training. Through this program, the EC-Council combines simulation-based learning and testing to teach technology professionals to think like a hacker. Each participant learns how to use common, easily accessible hacker tools to penetrate computer systems. With this insight, Ethical Hackers identify dangerous unsecure network entry points and other potential cybersecurity flaws. There’s no perfect, one-size-fits-all cybersecurity solution. When you choose High Touch for your cybersecurity, we work with you to understand your organization’s needs. Once we determine your specific security requirements, we design the perfect multilayered solution to keep your business safe. Every business has different cybersecurity requirements, depending on the industry. 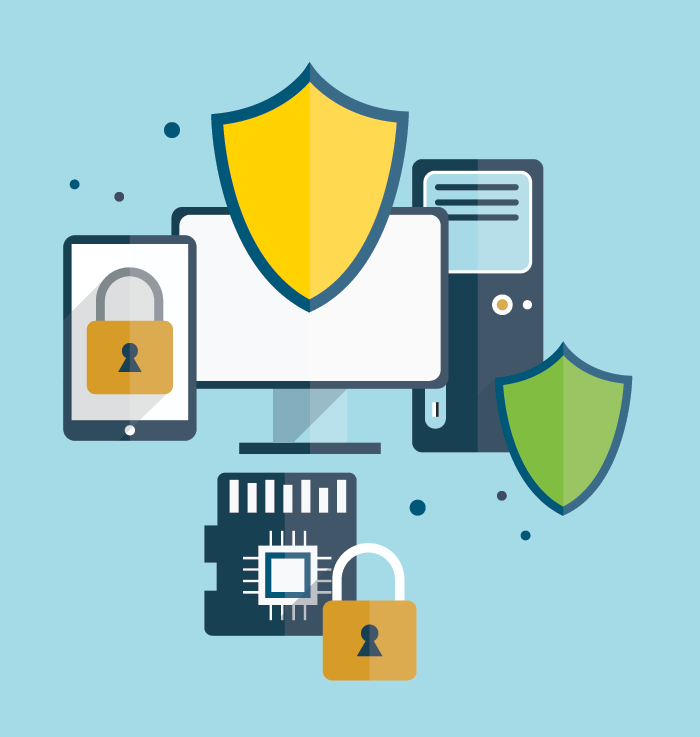 High Touch is equipped to design, implement, and support cybersecurity requirements ranging from basic firewall installations to advanced, top-of-the-line HIPAA and PCI-compliant solutions. As experts in cybersecurity, High Touch’s knowledge extends to all of its technology solutions, including Server and Workstation Management, Network Management, Hosted Solutions, Data Backup and Recovery, Hardware, Special Projects, and more.